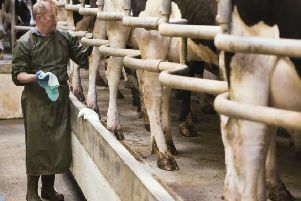 A Forkhill farmer has been convicted at Newry Magistrates’ Court of one charge of failure to notify the births or movement of seven animals onto his holding and one charge of failure to dispose of a carcase. Patrick Tiernan, of Tievecrum Road, pleaded guilty and was fined £1,250 plus £15 offenders levy. The offences came to light during an inspection of Mr Tiernan’s farm by Veterinary Service Enforcement Branch.